Sometimes you find a graphics card deal that’s just too good to pass up. 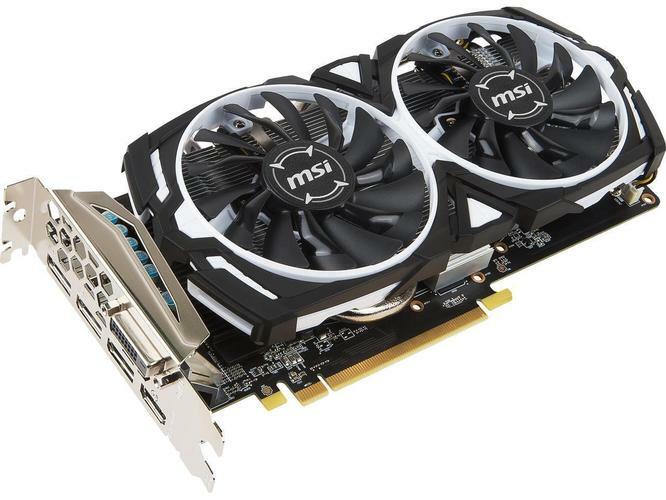 Today's that day: Newegg is selling the 8GB MSI RX 570 Armor OC for $160Remove non-product link. As with most Newegg graphics card deals, you'll need to remember to apply for a $30 rebate, but it's still one of the best prices we've ever seen for an 8GB RX 570 card. In fact, it’s just $10 more expensive (after the rebate) than a $150 4GB RX 570 deal we recommended earlier in October. Today's deal ends on Wednesday, October 24. With an 8GB RX 570 you can expect rock solid 1080p gaming with all the settings cranked. That extra memory means you shouldn't have any problems with particularly graphically demanding games from diving into system memory as can sometimes happen on 4GB cards. If you want anything more than 1080p such as 1440p or 4K resolution gaming, you’ll need a more powerful graphics card. But this deal is great for casual gamers—and there's a bonus too. In addition to the card, with this purchase you’re eligible for AMD’s “Raise the game bundle” that includes three free games: Assassin’s Creed: Odyssey, Star Control: Origins, and Strange Brigade.